The Bay Area’s housing shortage and affordability crisis is arguably the greatest threat to its future. In January, the region took an important step forward when the boards of the Metropolitan Transportation Commission (MTC) and the Association of Bay Area Governments (ABAG) both endorsed the CASA Compact, a grand bargain to arrive at real solutions. It calls for the region to produce 35,000 housing units a year (11,000 of which would be affordable), preserve 30,000 affordable units over five years and protect 300,000 lower-income households from displacement. One impetus for the initiative came when MTC and ABAG analyzed Plan Bay Area, the region’s long-range land use and transportation plan, and realized that even if the region produced enough housing to meet future demand, housing affordability for people with low incomes would still get worse. A low-income household’s combined housing and transportation costs would increase by 13 percent, from 54 percent in 2005 to 67 percent in 2040, even assuming the region added hundreds of thousands new units of housing. Based on this further erosion in housing affordability, as well as encouragement from a number of people and organizations, MTC and ABAG called for a comprehensive regional solution to the Bay Area’s chronic housing challenges. The idea was to convene a broad set of people representing different sectors, geographies, institutions, perspectives and positions to jointly work toward a common agenda to fix housing in the Bay Area. The Committee to House the Bay Area, or CASA, was formed in 2017 and over course of 18 months convened local government officials, housing developers, major employers, policy and nonprofit leaders to examine different policy options and work to build consensus around a set of solutions. The goal was to find an ever-elusive “grand bargain” where everyone gives a little of their ideological positioning in order to get something bigger for the region. As a starting point, the process framed the housing issues as three-fold: production, preservation and protection. In other words, the region will only make progress on housing if we can simultaneously add more housing (both affordable and market rate), preserve the existing stock of affordable housing (both subsidized units and lower-cost market-rate housing) and protect residents, particularly tenants, from displacement. CASA was led by three co-chairs: Fred Blackwell from the San Francisco Foundation, Leslye Corsiglia from SV@Home and Michael Covarrubias of TMG Partners. A technical committee of policy experts and practitioners proposed, developed and vetted ideas, and a steering committee of elected officials and major employers reviewed and adopted proposals. SPUR staff members sat on the technical committee and were also involved in developing policy ideas, particularly around housing production. SPUR board members participated in both committees. The CASA Compact, released in January 2019 and ratified by MTC and ABAG’s Executive Board, is a major step toward coordinated policy around housing production, preservation and protection at a regional scale. What’s in the CASA Compact? CASA calls for the creation of a region-wide policy that would allow landlords to terminate a tenancy only under certain conditions and would require landlords to provide relocation assistance for certain no-fault evictions, such as when the owner plans to move into the unit. The compact would create an annual cap on rent increases for a 15-year period. During this time, landlords could not increase rents greater than the annual percentage increase in cost of living (measured using the Consumer Price Index) plus 5 percent. Landlords could pass on certain utility expenses like water and gas and the costs of major building improvements. All tenants facing evictions would be guaranteed free legal aid, and any low-income tenant facing eviction for failing to pay rent — in this case, a tenant earning up to 80 percent of area median income — would be eligible for emergency rent assistance to prevent eviction. CASA calls for an expansion of regulations that would encourage the production of accessory dwelling units (also known as ADUs or in-law units) region-wide, including a more streamlined building approval process. The compact estimates that encouraging ADU construction in 20 percent of the Bay Area’s single-family lots would create 300,000 new homes. CASA calls for state zoning changes that would allow for two things: 1. taller buildings in neighborhoods served by high-quality bus service or near regional rail stations or ferry terminals, and 2. housing in places that are currently zoned just for commercial use. Any project of 20 units or more would be required to include a certain percentage of permanently affordable units. The compact lays out a set of standard principles for setting housing impact fees and requiring permanently affordable units in housing projects. It also calls for a streamlined process for approving housing projects that meet a local jurisdiction’s established zoning requirements. CASA calls for a state law that would expedite the approval of certain housing projects; for example, projects that meet certain income requirements and offer prevailing wages to construction workers, among other requirements. CASA also calls for financial incentives to encourage building housing projects with affordable units, including a system that would exempt affordable units from property taxes for 15 years. This element identifies several changes to state law that would encourage the use of public land for affordable housing or mixed-income housing development. The question of how to pay for these changes looms large. The compact calls on property owners, taxpayers, local governments, employers, developers and the philanthropic community to contribute and lays out a range of funding sources for all of the reforms, including business taxes, a series of general obligation bonds, an increased sales tax and the idea of sharing revenues across counties through a housing program. Finally, CASA calls for a new regional entity to implement these policy ideas. This regional housing enterprise would be made up of CASA participants and would collect and distribute revenue and issue debt, lease land for housing development, monitor and report on progress and provide technical assistance and oversight. In addition to these 10 elements, there are several reforms — including bringing back redevelopment agencies, lowering the voter threshold on housing measures, growing and stabilizing the construction labor force and reforming Proposition 13 — that the compact identifies as critical to address in order to make real progress on housing in the Bay Area. MTC and ABAG’s approval of the CASA Compact is an important achievement. 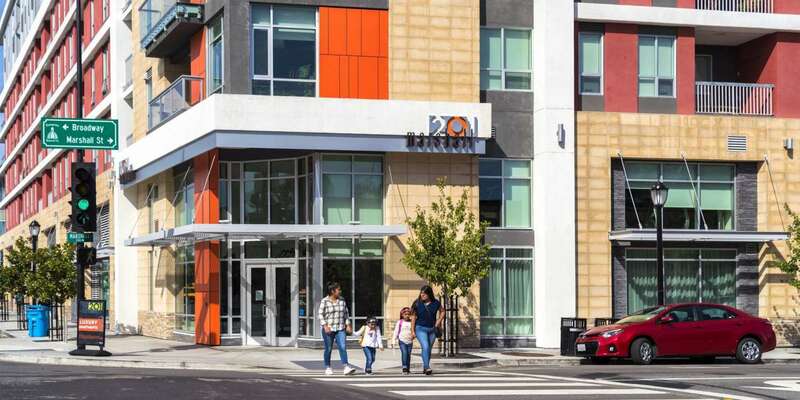 SPUR has called for many of these ideas in San Francisco, Oakland and San Jose, and we’ve long advocated for regional revenue sharing and other creative tools to help pay for affordable housing. It was a challenging and complicated process to bring so many perspectives to the same table and to find common ground on solutions. But the work has just begun. Enacting this package of policy reforms will require a number of changes to state law; the next step is to build the political will to pass legislation in Sacramento this year — which won’t be easy. Despite months of negotiation, the compact is not without controversy. Some jurisdictions felt excluded or insufficiently informed, and some advocates felt the reforms don’t go far enough. Will CASA deliver on its promise to turn the tide on the Bay Area’s biggest regional challenge? Its success will lie in the politics of holding the coalition together through the challenges to come. The critiques that have emerged so far reflect how difficult it is to make real change and why the region has yet to solve its biggest problem. CASA may not be perfect, but it’s the best set of ideas the region has seen so far. Those who work on housing issues must now stand behind these proposals and make them happen. Certainly, more work will need to be done to secure housing affordability across the Bay Area. SPUR is currently working on the SPUR Regional Strategy, a long-term project to plan for the Bay Area of 2070. Through this initiative, we aim to understand in concrete terms what it will take to fully solve our shared issues, including housing, not just today but for the coming decades. While the CASA process will not on its own solve our housing issues, it is a key step that attempts to transform the politics of housing — which in turn can lead to a different system for building new housing, protecting vulnerable residents and maintaining the stock of affordable housing region wide. The Bay Area’s housing shortage and affordability crisis is a regional failure. In CASA, we have a promising set of proposals, shared values and — perhaps most importantly — the seeds of civic will to solve this as a region.